Access Profiles, Inc.: Labor Day ~ What it Means to Our Nation's History! Labor Day ~ What it Means to Our Nation's History! 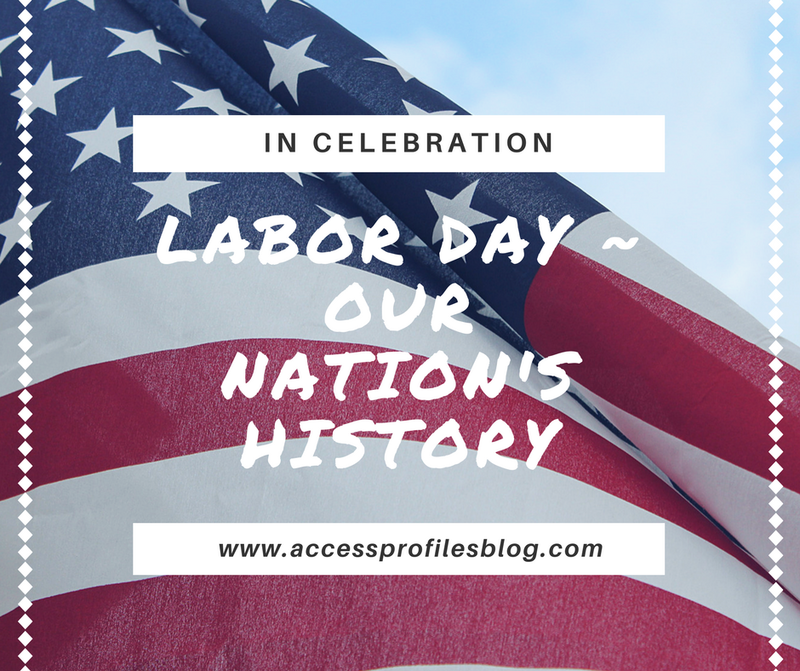 At Access Profiles, and across our Nation, we celebrate the American worker! We honor their hard work and achievements and value what they contribute to our communities and our nation. Many of us will share posts on our social sites wishing everyone a Happy Labor Day. And we will make plans for a long weekend with family and friends. But while it is certainly a time for celebration, it is also important that we remember the original reason for Labor Day. Labor Day began as a way to quell civil unrest and recognize those that fought for, and achieved, workplace reform. Before Labor Day became a national holiday, protests were escalating over the working conditions of the time. People worked an average of 10 hours a day, 6 days a week, and many much more than that. (*Source1) Employees earned an approximate yearly wage of $445 (which translates to about $10,200 by today's standards). Benefits like vacations or health insurance were unheard of. Workplaces were also unsafe. Labor regulations and employee safety legislation did not exist in our country. Long hours contributed to weary workers. "Get the job done no matter the cost" was the norm. According to "The Struggles of Labor"(*Source2); anyone trying to change the system, was met with unresponsive and uncooperative business owners. Even the judiciary was found to rule against those trying to enact change to benefit the American worker. The courts' rulings followed "the prevailing philosophy of the times. As John D. Rockefeller is reported to have said: "the growth of a large business is merely a survival of the fittest." This "Social Darwinism," as it was known, had many proponents who argued that any attempt to regulate business was tantamount to impeding the natural evolution of the species". Even as late as 1900, the United States had the highest job-related fatality rate of any industrialized nation in the world! It took those willing to put themselves on the line to enact necessary change. Groups organized, some nationwide, whose goals were to increase wages, reduce hours, and improve working conditions. Incidents of violent protests and strikes were not uncommon. It was in direct response to this civil unrest that Congress passed the law making the first Monday in September Labor Day (Congress passed the Labor Day law in 1894). While things now are certainly not perfect, the days of complete disregard for our workers' safety and quality of life hopefully are a thing of the past. What Employers should learn Now from Labor Day's Past! "Tweet This"
The best employers know and understand this. They have learned from the past and changed their focus. Instead of placing little value on their employees, the best companies do what they can to make their workplace safe and provide their employees with the tools to succeed. Companies recognize that Workplace Safety means things like keeping it a drug free zone and doing background checks before hiring. "When you hire, you need to remember that who you hire is a reflection of your business. They are often the first “face” of your company that your clients and customers see. That is why making a hiring mistake can actually harm your carefully cultivated brand. It can even put your small business, your other employees, and your clients in jeopardy". 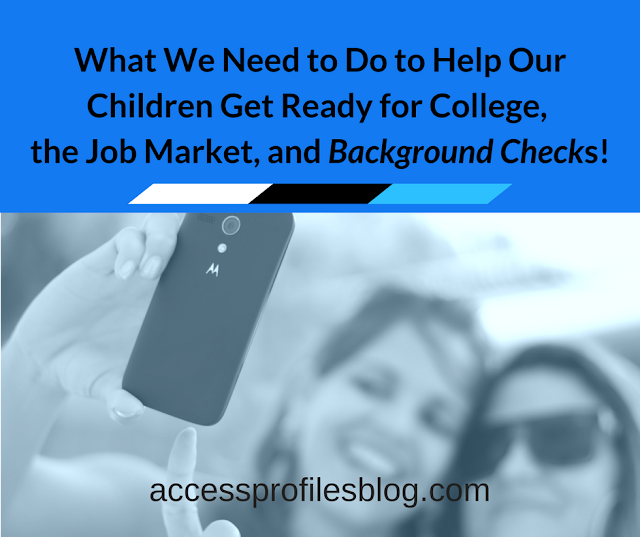 Find out more about the importance of employment screening in your business in "If You're not doing Background Checks on Your New Hires, You are making the Biggest Mistake Your Small Business can Make!". This emphasis on workplace safety even includes policies designed to stop bullying and harassment. Unlike in years past, business owners understand the need to get on board and make their workplace a "bully free" zone. They are willing to do what it takes to keep their employees safe. 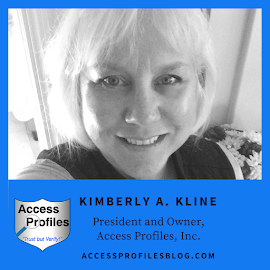 "Responsibility for making changes in how your company deals with harassment needs to start at the top ~ with you, the business owner, and your managers and supervisors. You need to develop a “follow the leader” mentality and set an example. When upper level employees are allowed to discriminate or harass, your company is in trouble". Discover more about what you can do in, "It's On Us ~ Is Your Company Ready to Step Up & Stop Workplace Harassment?". Good business owners also realize that creating that safe workplace needs to be a team effort. It can't be accomplished alone. "One of the most successful tactics you can use to create a work environment that is as safe as possible is to make it a Team Effort. Getting all your employees onboard and creating the culture that safety is more important than profits makes sense". Discover steps to accomplish this in "Workplace Safety needs to be a Team Effort" and you can learn more tips to help you keep your company safe in "5 Things You Need to Consider to Keep Your Company Safe"! In addition to the importance of workplace safety, the best businesses also recognize the importance of creating a company that values their workers and retains their good ones. Being clear about your company culture, encouraging a diverse and welcoming environment, and even revamping your hiring procedures can all make a difference. All have an impact on how job seekers, and eventually your employees, perceive you and your company. Discover more about what you can do to make your workplace interesting and inviting in "Hiring? What You Should Do Now to Attract the New Hires You Need". 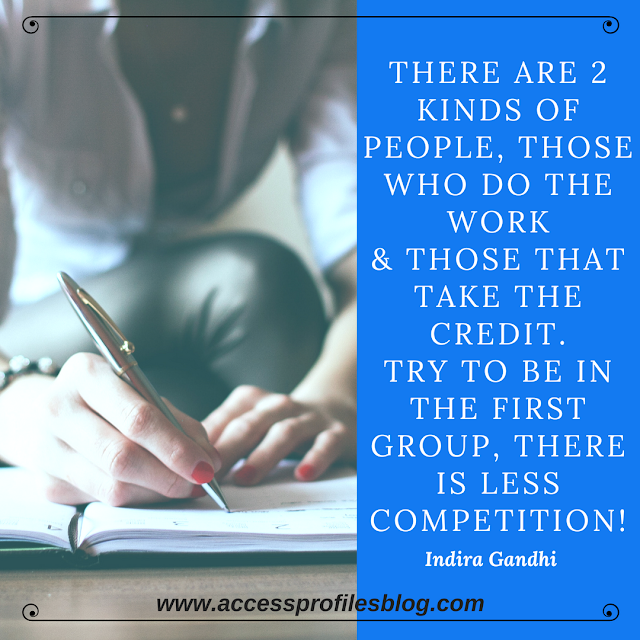 Finally, as a business it is important for you to set yourself apart from your competition...and that is especially important for a Small Business! To make your company shine, you need to not only show, but embody, what you can offer that makes your business a perfect place to work. You should emphasize how your company is different and what benefits working for a small business offers that a bigger company can't touch! "By nature, a small business atmosphere is more hands-on and close knit. Employees have a much more tangible stake in the success of the company and often have a chance for greater input. Even flexibility of work hours, telecommuting, and promotions are often part of the small business culture", excerpt from "4 Reasons Why Job Seekers will want to Work for Your Small Business"! It is this focus on employees and what they bring to our businesses and our country that is a direct result of the fight for improvements in working conditions. We have learned valuable lessons from the past. Those early crusaders showed us that we must recognize the daily contributions of our nation's workers. We need to treat them with dignity and honor. Without them, we would not succeed as a business or as a nation. Contact Us for information on Background Investigations & Applicant Services and Security for your business. API also offers Business Mentoring to help take your company to the next level. Check it out! Source2: "The Struggles of Labor"